Are you hoping to learn Informatica 9.6.1, you have arrived at the right place. In this Informatica tutorial blog, you will learn essential to advance Informatica concepts in very simple way. On the other hand, you can watch the below video by our Informatica Industry Expert along with practical session. There is a great demand for Informatica training because of Informatica 9 has introduced some new features in the current market. 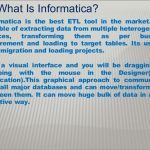 This article is going to describe these features of Informatica 9. Informatica 9 supports data integration for cloud. One can integrate data in the cloud applications, as well as run this version of Informatica on cloud infrastructure. 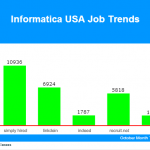 Informatica 9 introduced a new tool – Informatica analyst. 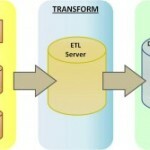 There is difference in the architecture of Informatica 9. This is more effective than the previous architecture. It supports browser based tool for business analysis. It also supports Data steward. It permits unified administration along with a new admin console which enables user to manage power centre and also power exchange from the same console. It has powerful new capabilities for the data quality. It offers single admin console for power centre, data quality, data services and power exchange. In this version of Informatica, IDQ (Informatica data quality) has been integrated with the Informatica Platform, performance, reusability and manageability all are significantly enhanced. The mappings rules are also shared. Both the sql and web services can be used for the real time dash boarding. Informatica data quality offers worldwide address validation support and with integrated geo coding. The capability to define rules and view and execute profiles is available in both the Informatica developer and Informatica analyst also. The developer tool is eclipse based here and supports both data integration and data quality for increasing the productivity. Informatica has the potential to pull data from IMS, DB2 on series and from other legacy systems environment like Datacom, VSAM and IDMS etc. 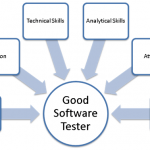 Different tools are available for different roles inInformatica 9. It does not comprise ESB infrastructure. 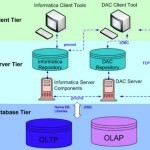 Informatica 9 supports open interfaces. Informatica 9 complements the existing BI architectures by giving immediate access to the data through data virtualization. It supports profiling of Mainframe data. Here the dashboards are planned for business executives. We offer Informatica online training to the learners throughout the globe. If you wish to learn more on it you can join our Informatica training. Our Informatica online training is very interactive. All our Informatica trainers are highly qualified and experienced. They are the main strength of our Informatica online training.